Pour yourself a glass of Vino Italiano, pull up an easy chair, and join us for today’s Tasting Notes Podcast. VdT, IGT, DOC, DOCG… What the Heck? Note: Add your own comments to this Podcast by clicking on the timeline of the audio track above, or leave your comments in the Comments Section below. 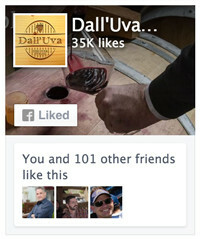 Ciao, this is Michael Horne and welcome to the inaugural podcast of Dall’Uva Tasting Notes. I’m your personal Sommelier for today, and in each episode we’ll serve up some interesting stories, news and recommendations on Italian wines, food and travel. Today we’re diving right in with an introduction to how the Italians classify their wines. I’ll help you understand the difference between these confusing classifications, and where your wine budget is best spent when you’re shopping for your next bottle of Vino Italiano. In our next Podcast, I’ll take you on a tour of the Italian wine making regions from top to bottom, helping you learn the most popular regional wines and grape varietals grown there. I’ll give you a few wine recommendations you can pick up at your local wine shop or online that really show off what the popular wine making regions can do. Armed with the information in these 2 Podcasts, you’ll be able to pick some of Italy’s finest wines with confidence. Don’t worry about writing all of this down, you can find a transcript of this podcast in our Wine Journal Blog on dalluva.com, with links to where you can find the wines and references I mention here. Time for a quick poll: Raise your hand if you’re confused by Italian wine names. Do you know where Chianti comes from? What’s the main grape varietal in Chianti Classico? Maybe you already know that it’s Sangiovese, but what about Amarone, one of my all time favorite Italian wines? Not so easy, and awfully confusing. Don’t worry, you’re not alone. Most wine lovers I talk to find Italian wine names and styles confusing. Unlike most American and new world wines, Italian wines are typically named after a region, just like French wines. For the most popular wines you’re going to be drinking, the names often tell you something about the origins of the grapes and how they’re produced. You have to do a little more research into the wines of a region if you want to know the grape varietal, but after a bit you’ll become more familiar with them and you’ll just know the grapes associated with a regional wine, like Sangiovese in Chianti and Nebbiolo grapes in Barolo. Before we get into the most popular wines of Italy, let’s talk about how the Italians classify their wines. 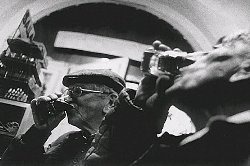 Following the lead of the French, back in 1963, a group of Italian winemakers got together to find a way to raise the quality standards for Italian wines, and classify regional wines according to local wine making traditions. Their goal was to give you, the wine drinker, a way to gauge the quality of a wine and determine if it was made in a consistent style and quality. The result is a 4-class system of wine rankings. 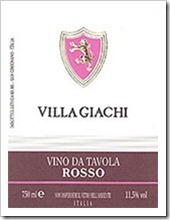 The first, and lowest quality standard, is VdT, which stands for Vino da Tavola, or Table Wine. 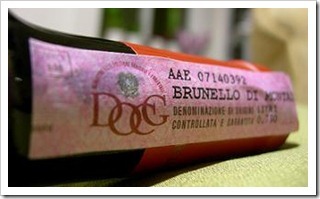 Wines marked with a VdT on the label tells you they’re made in Italy, and that’s about it. There aren’t many interesting VdT wines here in the States, as these wines are pretty much for consumption in the local region where they’re produced. If you’ve ever taken a holiday in Italy and had some of the house wine in a local trattoria or osteria, you’ve likely tasted a Vino da Tavola wine. OK, now let’s get into the more interesting Italian wine classifications. There are two that you’re going to run into regularly at your local wine shop and restaurants, and this is where you’re going to spend most of you vino dollars. First up is DOC, or Denominazione di Origine Controllata — boy that’s a mouthful, most folks in the industry just call it DOC. The key word here is Controllata, meaning that a wine marked DOC is produced in a specific, well-defined region in Italy, according to defined wine making rules that are designed to preserve local traditions. If you’ve ever had an Italian Pinot Grigio from the Friuli region, or a glass of Prosecco, it was likely a DOC wine. It all sounds wonderful, except that there are literally hundreds of DOC appellations in Italy, each quite unique in their rules, so the DOC classification hasn’t done a lot to reduce confusion. One thing you can generally count on is that a DOC wine will convey a regional wine making style with specific grapes, and that the quality of the wine tends to be higher than IGT wines. As a result, the wines tend to be more expensive than IGT wines, but most are still pretty affordable. This brings us to the highest wine classification in Italy, called DOCG, where the “G” stands for Garantita — a wine that is guaranteed to follow stringent wine making rules (the full name is Denominazione di Origine Controllata e Garantita) . It’s here where you will find some of Italy’s top wines — and sometimes at top prices. If you love Barolo, Brunello, or Chianti Classico wines, they’re all from DOCG appellations. So what makes a DOCG wine so special? 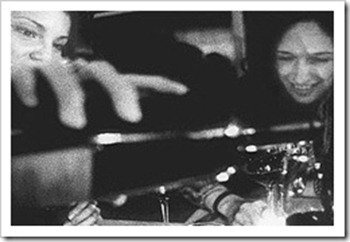 Compared to DOC wines, most DOCG rules reduce the allowable yield of grapes to produce the wine, require longer aging periods, and most importantly, a DOCG wine has to pass an analysis and a tasting by government-licensed personnel before being bottled. 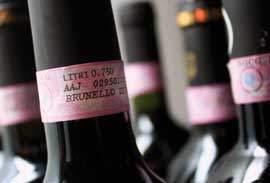 And then, to prevent a wine producer from fiddling with their wine after the official analysis and tasting is completed, DOCG wine bottles are sealed with a numbered governmental stamp across the cork. The stamp is your guarantee that the Barolo or Brunello or Chianti Classico you paid dearly for was produced with strict adherence to local wine making rules. That said, it’s not a guarantee that it’s a great wine, and you’ll find that there are some pretty unimpressive DOCG wines out there. 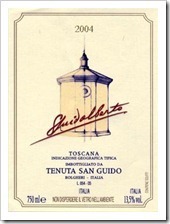 In fact, you may find many DOC wines that you prefer over DOCG wines. You just have to get out there and start tasting to find what you like. VdT wines are basic, local table wines – cheap, but pretty simple. You find these mostly in local trattorias and osterias in Italy, and not so much here in the States. DOCG, which includes most of Italy’s top wines and gives you a “guarantee” a wine is made to a very high standard in selected Italian regions. Most of the interesting wines you’ll enjoy are either DOC or DOCG. OK, I think I may have you in geeky information overload, so I have some homework for you: Take a trip to your local wine shop that has a decent selection of Italian wines, and look at the labels. All Italian wine producers will label their wines with one of the above 4 classifications, so it shouldn’t be too hard to find. Look for an IGT wine, and compare the label and packaging to that of a DOCG wine – DOCG is a prestigious classification, and the wine producers will often invest in a heavier bottle and nicer label. Check out the pricing difference – IGT wines are typically pretty cheap (unless it’s a magical SuperTuscan – set that aside for another day). DOCG? Not so cheap. Alright, that’s it for this episode of the Dall’Uva Tasting Notes. In our next Podcast, I’ll take you on a tour of the most popular wines of Italy, from top to bottom of the Italian boot. With what you’ve learned here about Italian Wine Classifications, you’ll be well prepared to shop for Italian wines with confidence. I’m Michael Horne with Dall’Uva, and thanks for listening. Hey there — as a follow-up, you can find a listing of all 73 Italian DOCG appelations (as of this writing) on Alfonso Cevola’s “On the Wine Trail” blog here. 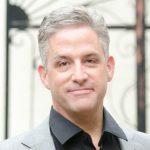 Hi Michael: I read an article recently that says that as of 2011, there were 74 DOCG. 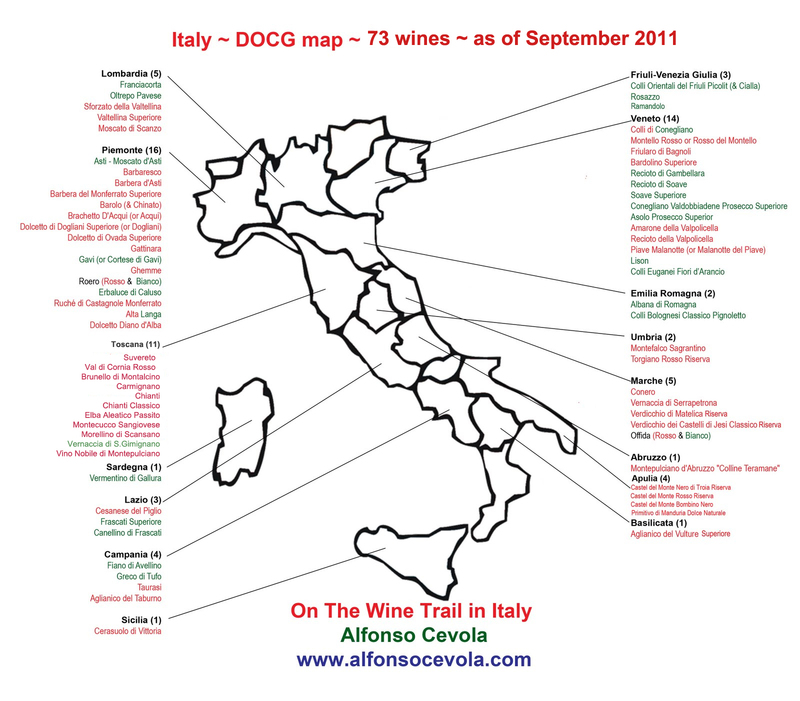 Would you have any updated figures on DOC & DOCG wines as of Dec 2012? Hello — good information. Is it safe to say that DOC is not really a mark of quality as it simply regulates the varietals used and some winemaking techniques? 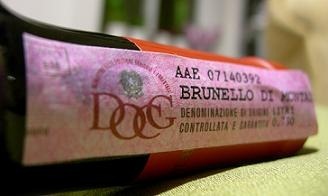 However, because DOCG has a “tasting” component, it could be a marker of a higher quality wine. I notice that on some restaurant wine lists, they will always mention DOCG in the description, but not DOC. 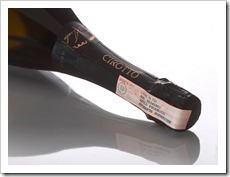 I only drink italian wines with DOCG on the cork… my preferred wine is Chianti …. 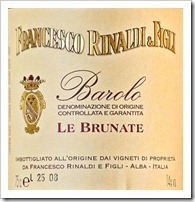 I do like a more expensive wine… I also like Brunello when can find it…. So what does the AAE stand for in the picture at the top of the page on the government seal? Ciao Jennifer — The “AAE” in the DOCG label picture above is part of a serial number (a 3-letter sequence + a number) that is unique to each bottle, proving that the wine has been tested and has met the standards of that particular DOCG for approval. Some Italian wine organizations associated with DOCGs have online databases where you can look up information on a producer using this unique serial number. For example, on the Brunello Consorzio website, you can type in the numbers to find out interesting information about a Brunello, Rosso, Moscadello, or Sant’Antimo wine. Il Poggiolo di Eredi Roberto Cosimi SS, with production year of 2005, alcohol at 14.01%, etc. Not all of the Consorzi associated with a DOCG offer this kind of online database search, and it’s a pretty geeky function anyway, but it’s good to know that the DOCG wine testing is tracked and traceable. Good explanation, except that your explanation of IGT kind of cheapens the classification. I've found plenty of high quality IGTs outside of the super tuscans, they allow creative freedom for the winemakers. There are thhoooousands of interesting and beautiful IGTs. Check out PS Winery in the Marche for a prime example! Agree with Jonathan Z above. I have found some excellent IGTs as well (Regaleali's Bianco is one such) that I will gladly drink alongside the Lugana Provenza(Trebbiano) and there's a substantial price difference. Chianti Classico added a new classifciation in 2013 Gran Selezione which is higher than reserve. 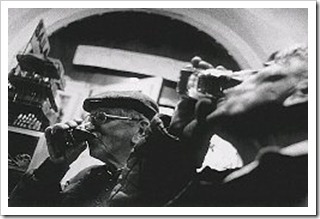 I have seen notes that they produce three levels of wine in Chianti Classico Anata, Riserva and Gran Selezione. I assume they all link to DOCG awarded n 1984 for those wines that meet those minimum standards but is that correct?. 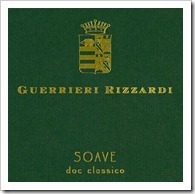 I also understand that initially not all the wine growers were in agreement with the new classification Gran Selezione? That many felt the standard of the reserva could be equal to the Gran Selezione. I also understand the term reserva is often used without clear standards. Any Clairity you can add would be helpful!